Most Flexible Spending Accounts run from Jan. 1 through Dec. 31. Some might allow a grace period, through March 15. Be sure to check with your particular FSA for the specific rules. Typically, you must use your FSA funds during the year or risk losing the money. Some FSA plans allow you to roll over $500. Be sure to check with your current employer to learn more regarding FSA allowable expenses and the length of time you can use the funds. Were you aware that your Flexible Spending Account (FSA) can be used towards the purchase of your new eyeglasses or contact lenses? You can use pre-tax dollars that you’ve set aside from your paycheck to cover expenses such as – eye exam co-payments or deductibles, and/or purchase approved eye care products. 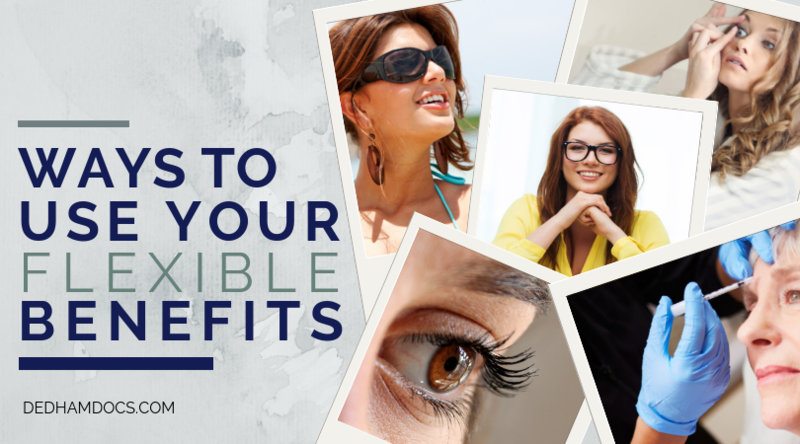 Additional FSA allowable expenses can also include eye exams, prescription eyeglasses, sunglasses or contact lenses. Because you’re spending pre-tax dollars, FSA qualified expenses add up to big savings—you can save an average of 30% on vision-related expenses. Like any FSA plan, the process starts with your employer. Sign up through your human resources rep, and start putting aside pre-tax dollars for important items you may need for your vision. Set aside a designated amount from each paycheck to be deposited into your FSA. The funds can be used for the purchase of eyeglasses, eye exams and other eye care items not covered by your insurance. Be sure to check with your employer for the yearly allowable amount you can set aside. Use your Flexible Spending Account for eyeglasses and other health care in two different ways. Many Flexible Spending Accounts for covered items issue FSA debit cards that you can use like any debit or credit card. Other FSAs for allowable expenses require that you pay for Flexible Spending Account covered items, and then be reimbursed by your FSA provider. Most FSA providers require that you submit a form along with an itemized receipt for the FSA qualified expenses such as eye exams, glasses and contacts.